From beach access renovations and bike path improvements to purchasing properties and opening brand new beach accesses, the South Walton Tourist Development Council has an impressive list of improvement projects underway. The beaches are the backbone of the South Walton experience, no matter what the future may hold for Customary Use legislation. The Walton County Board of County Commissioners has continually emphasized the importance of acquiring new properties for beach access and parking throughout South Walton. Since August 2016, the TDC has purchased seven beachfront parcels, totaling 748 feet of beach for three new regional access points; along with a 7.35-acre inland property that currently serves as parking in the Grayton Beach area. The additions will bring the total number of regional beach access to 11. Each beach access includes parking, bathroom facilities and a lifeguard station. This aerial image shows the improved pedestrian bridge at Western Lake. The properties are located in Miramar Beach (2.03 acres and 409-feet of beachfront), Seagrove Beach (1.5 acres and 117-feet of beachfront) and Dune Allen Beach (1.51 acres and 222-feet of beachfront). The Grayton Beach property along CR-283 (7.35 acres) was previously slated to become a mixed-use property with 75 hotel rooms, 78 condos and retail space. Here’s a look at where each regional beach access project currently stands. complete. Construction is expected to begin late summer. Dune Allen Regional Beach Access: Design and development phase is 100 percent complete. A groundbreaking ceremony for the project was scheduled for February and construction is expected to take approximately 6-8 months. Seagrove Beach Regional Beach Access: Design development approximately 30 percent complete. Design and permitting expected to take approximately 8-10 months. Construction to begin in late 2019. All told, the TDC spent $25.6 million to acquire the properties, none of which came from local taxpayer dollars. The purchases were completely funded by bed tax dollars, a 4 percent tax collected on short term rentals (a fee paid by short-term visitors on hotels, condos and vacation rentals). The TDC has entered into agreements to continue partnering with Grayton Beach State Park and Topsail Hill Preserve State Park to use bed tax dollars to pay entry fees for day use of those state parks during the summer season, providing free access to the parks as a way to lessen the visitation at any one public beach access point. A common question asked of the TDC is “why does it seem to take so long between purchasing beach properties and the grand opening?” As part of the regulatory process, major purchases and large projects like this must be approved at various levels before shovel meets ground. Public meetings are held with the public, the TDC’s Advisory Board, as well as the Walton County Board of County Commissioners, ensuring adequate opportunity to provide feedback. Strict environmental regulations also must be addressed in the design process, and approved by the Florida Department of Environmental Protection. Taking a step off the beach, the TDC completed a multi-use path replacement project on 30A from CR-83 to CR-283. As part of the multi-year capital improvement project to repair/replace and improve the multi-use path along the scenic corridor, the existing 8-foot wide path was widened to 10-feet, new signage was added, stormwater improvements were completed, and areas to stop and rest along the path were installed. 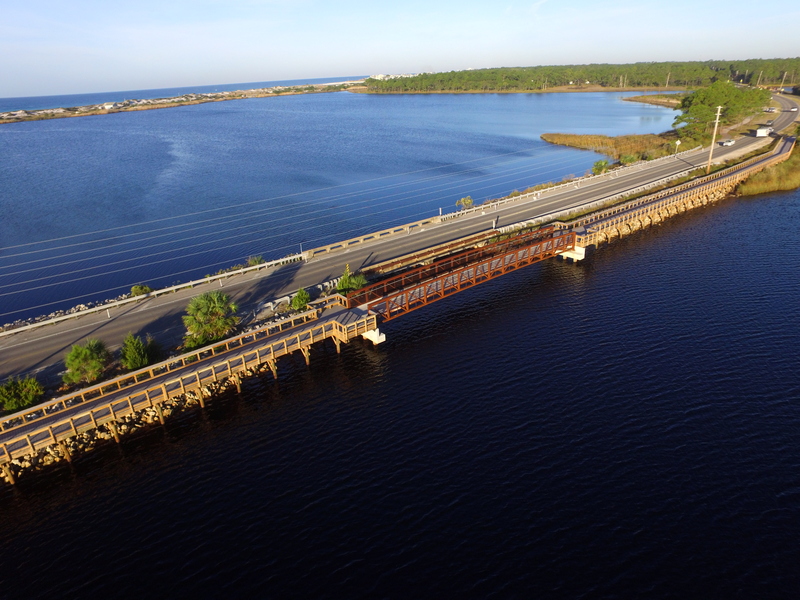 Additionally, the wooden sections of the bridges at Big Redfish Lake, Little Redfish Lake and Alligator Lake were replaced. Next up for repair and replacement due to natural wear and tear are the pedestrian bridges over Draper Lake, Eastern Lake and Deer Lake along with the multi-use path between County Hwy. 395 and Lakewood Dr. by Eastern Lake. Additionally, the Walton County TDC is in the process of developing a new facility as they have outgrown the current Visitor Center on Hwy. 331, which is limited in parking spaces and difficult for visitors to reach when approaching from the north or west. Property along the west side of Hwy. 331 has been purchased, and a firm was recently selected to design the new TDC Visitor Center. Safeguarding the quality of the South Walton experience is one of TDC’s main stated objectives, along with protecting the local economy, so locals and visitors will notice continual improvement projects taking place throughout its 16 beach neighborhoods. While some projects are larger than others, they all work to differentiate and elevate the South Walton experience from other competing destinations, and underscore what makes South Walton a unique and wonderful place to live and visit. Looking ahead, here’s some projects the TDC has in the pipeline for 2019. 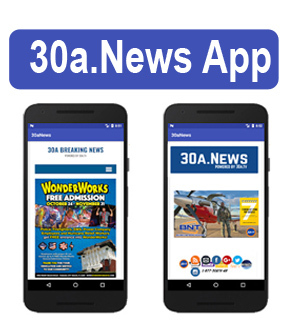 New regional beach accesses (Dune Allen Beach, Miramar Beach, Seagrove Beach); continued neighborhood beach access renovations (deck board and handrail replacements, etc. ); pedestrian bridge renovations (Deer Lake, Draper Lake, Eastern Lake); repairs at Pilcher Park (damage caused by Hurricane Michael); Bayside Ranchettes repair project (damage caused by Hurricane Michael); a seawall replacement at Kellogg Park; an ADA fishing pier at Cessna Landing; gateway signage replacement; and a new visitor center. Be the first to comment on " Walton County TDC moves forward with improvement projects"